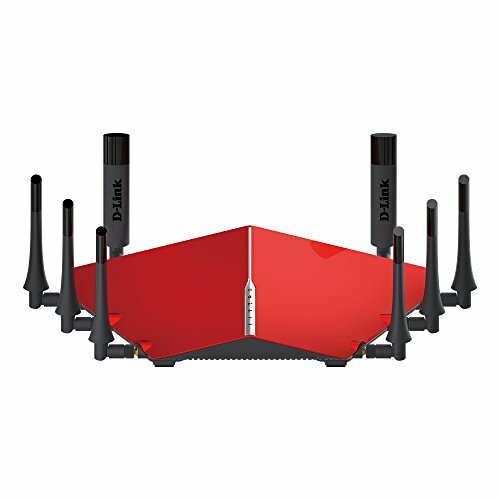 The AC5300 Ultra Wi-Fi Router (DIR-895L/R) delivers premium performance for today’s most demanding tasks: HD streaming, gaming, and multiple device usage. It comes packed with speeds of up to 5,332Mbps1 , a dual-core processor, three bands (one 2.4GHz with 1,000Mbps and two 5GHz with 2,166Mbps on each band), AC SmartBeam technology, Intelligent Quality of Service (QoS) with device prioritization, eight high-performance external antennas for maximum range, a new user interface, Smart Connect and with a really easy setup. The DIR-895L is the ultimate router for HD streaming and gaming.